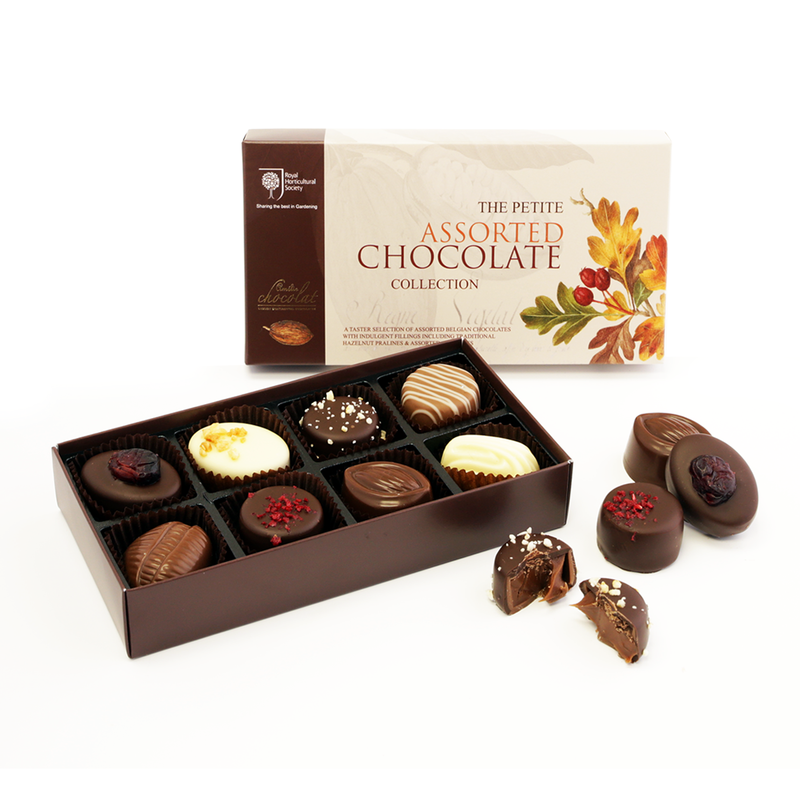 Click the button below to add the RHS Petite Chocolate Assortment to your wish list. The perfect 'petite indulgence' ... a treat size selection of 8 exquisite Belgian chocolates chosen from our favourite chocolatiers. Delectable fillings include soft ganaches of orange and wild berries, apple strudel, traditional nutty pralines ... and more! Made with the finest ingredients, these chocolates showcase the expertise of Belgium's finest!